Bird feeders can attract birds to your yard, where they can build nests close to a ready source of food. The shape of the bird feeder and the type of seed that you put into it are important things to consider. The height of the bird feeder will also have an impact on your bird-watching experience. Different types of birds prefer feeders at different heights. 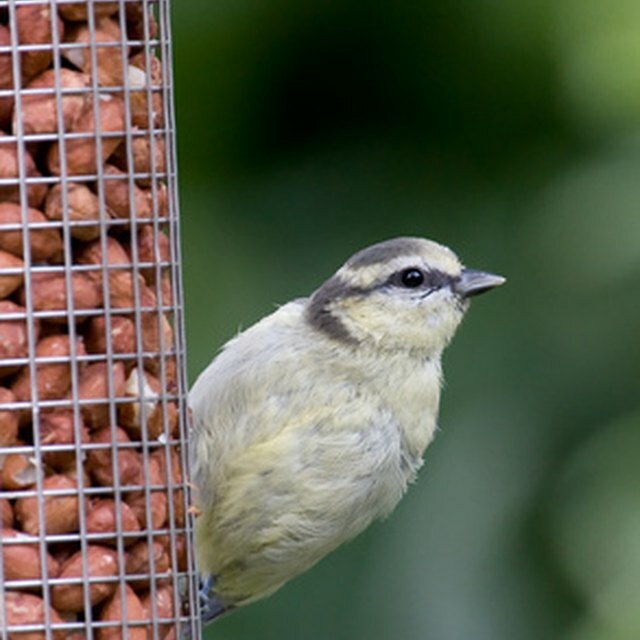 Hanging feeders at various heights can encourage a wider variety of birds to come to your yard or garden. Varied heights can also keep one dominant group of birds from monopolizing the feeder. For example, towhees prefer their feeders on the ground. Finches and cardinals prefer feeders prefer to eat from shrubs. Set their feeders waist high or at eye level. Tree feeders like titmice, woodpeckers and chickadees, like their feeders set high. Birds are vulnerable to predators when feeding, including cats, dogs, raccoons and foxes. Putting the bird feeder five or six feet off the ground can discourage some predators. Keep the bird feeder away from bushes, shrubs or hanging foliage that will camouflage predators. Cats can jump up on bird feeders. Keep them indoors or belled to warn the birds. Hanging bird feeders from a tall point rather than mounting them on a pole can also reduce safety risks. However high a bird feeder is, it needs to be convenient for you to fill. Birds will come to rely upon a bird feeder, and they can suffer and even starve if a bird feeder that they have been using starts going empty. 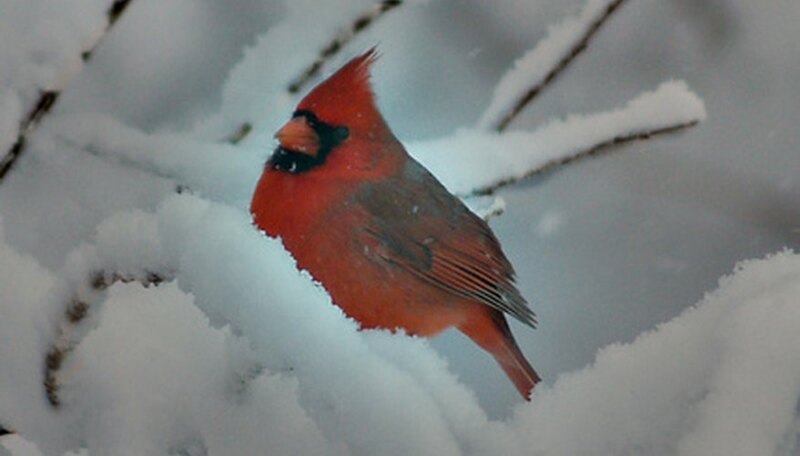 Constant feeding is especially important in the winter, when birds will be looking for food. A lower bird feeder is more convenient to fill. In the icy winter months, tall bird feeders mounted in trees may be all but inaccessible. You need to be able to feed birds year-round. A lower feeder or one hung closer to the house may be your best choice. Ma, Lanh. "Effects of Height of Bird Feeders." Sciencing, https://sciencing.com/effects-height-bird-feeders-6787179.html. 24 April 2017.